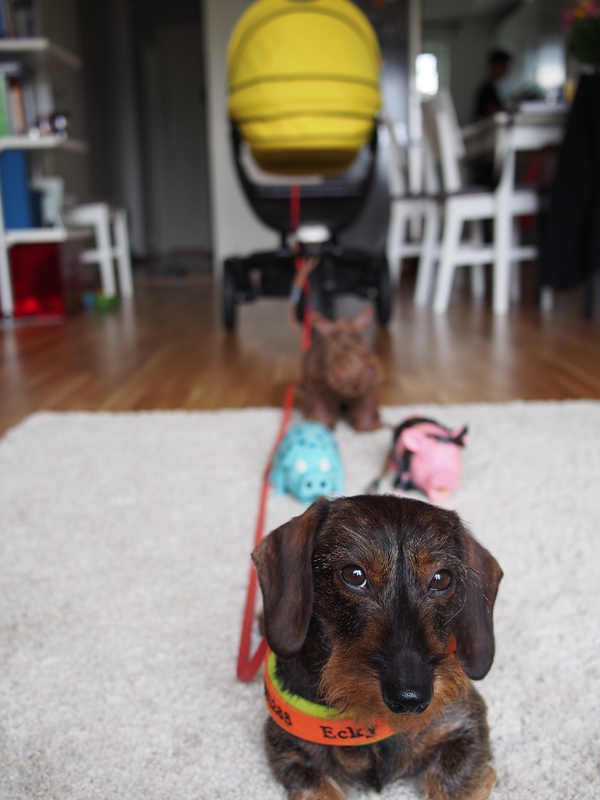 This week M started to train Ecky for his future part-time job: Pulling the stroller. 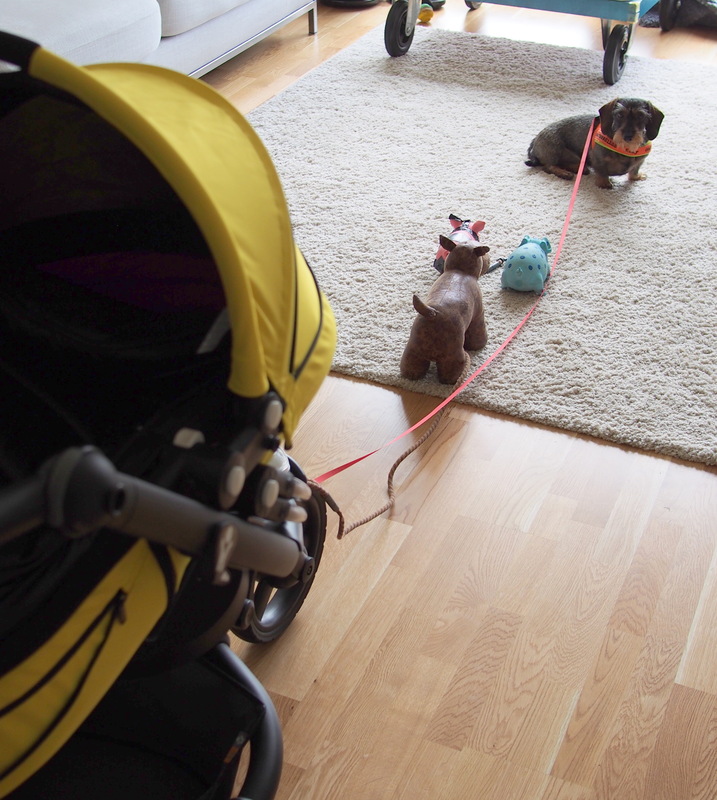 He started with putting Ecky in front of the stroller. That he wouldn’t feel to alone his friends: two piggies and our door stopper dog joined the pack. The trial period of the kitchen machine continued with preparing a semifredo, two kinds of breads and blueberry bund cake. The semifredo is a kind of half frozen mousse. 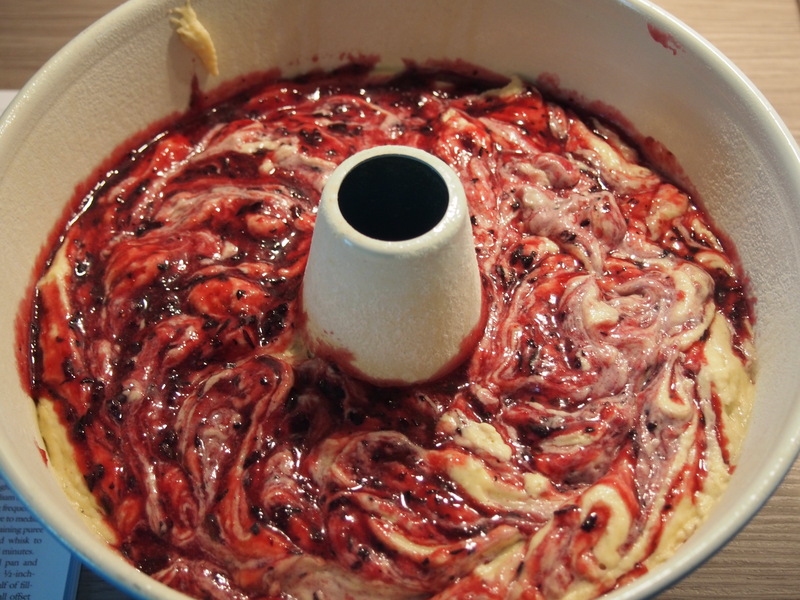 It came out nicely and we had it together with some handwarm blueberry sauce. 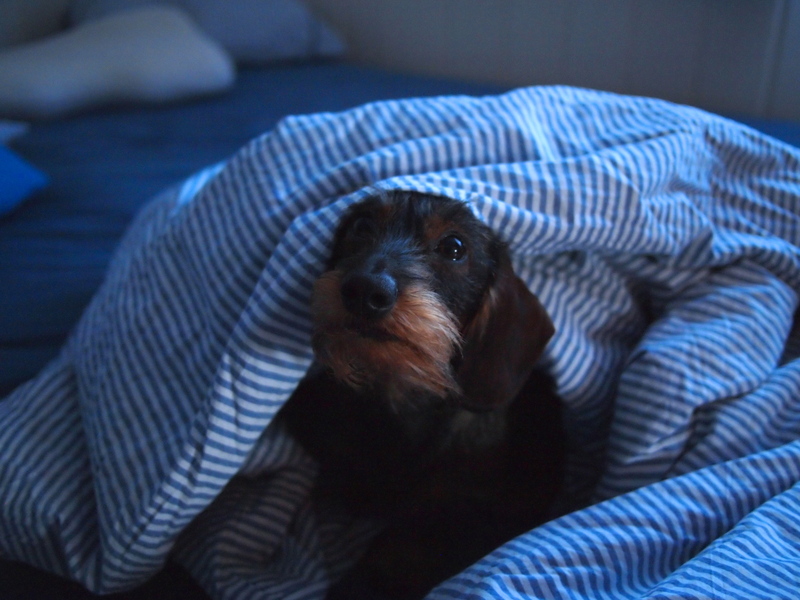 Last night I just couldn’t sleep and at 2am I got up with a real apetite for dark rye bread with Nutella. 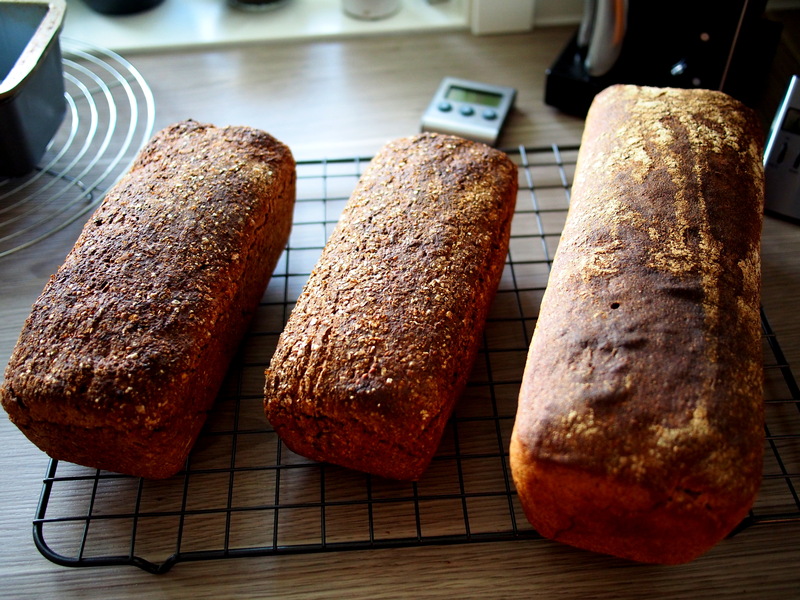 Of course we didn’t have any dark rye bread, so I started the rye sourdough and the two other pre-boiled ingredients (rolled oats and grains). 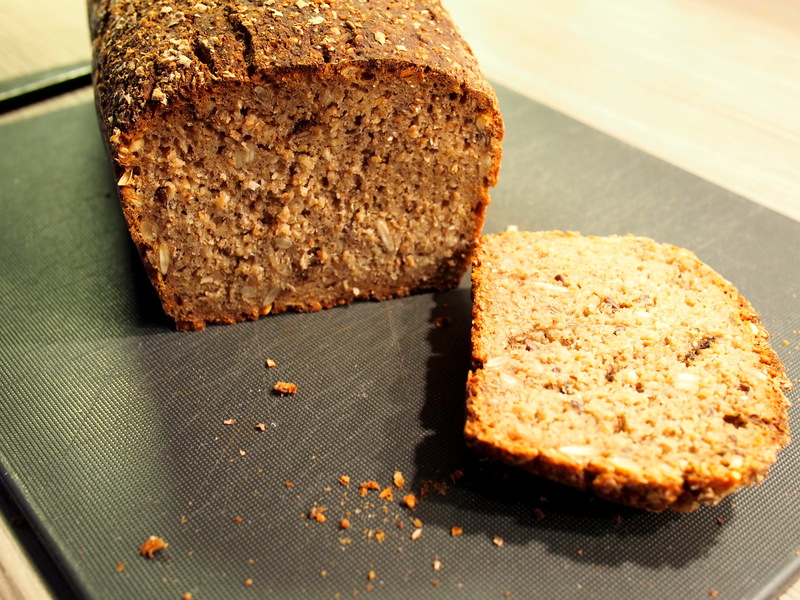 To get a bread with a high amount of grains but which doesn’t crumble it’s important that you let the coarse grains soak over a certain amount of time after you have poured hot water over it. At 6.30am I was up again cause I’d been dreaming about warm rolls for breakfast but I knew that we only have English muffins in the freezer and I didn’t feel like having English muffin for breakfast. 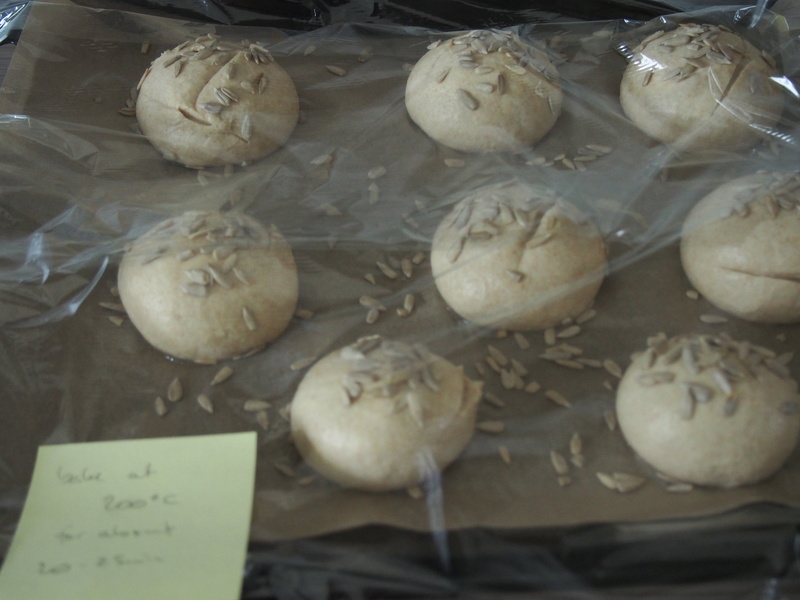 So I swirled up a dough for rolls, formed them and let them sit (covered with cling film) for M to bake them for breakfast though that I could have a few extra minutes to catch up the missed sleep during night. The breakfast was nice, a really nice start into the day. The other bread is the same as last week a french country bread. 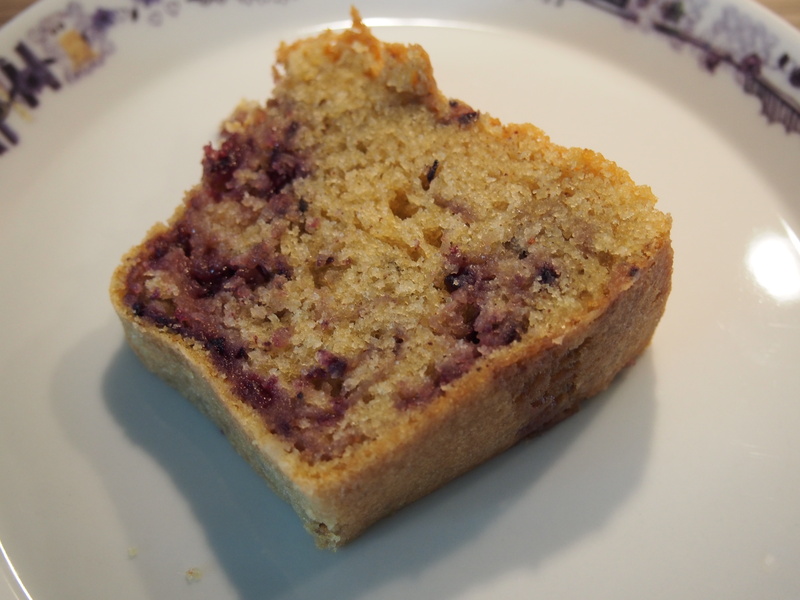 I found the recipe for the blueberry bund cake in the last edition of the Cooks Illustrated. The recipes are “idiot safe” but often pretty elaborate. The cake has a nice flavor, is moist and tender. Even though I’d reduced the amount of sugar, I find it still a bit too sweet. What’s kind of strange though is that the recipes are pretty inaccurate since cups and tbsp/tsp as measure units are used. Resumé about the kitchen machine so far: It does a good job when preparing a batter for a cake or whipping 1liter of heavy cream. That goes swift. But kneading a heavier dough like for the dark rye bread with a lot of soaked grains and sour dough it does a very poor job. 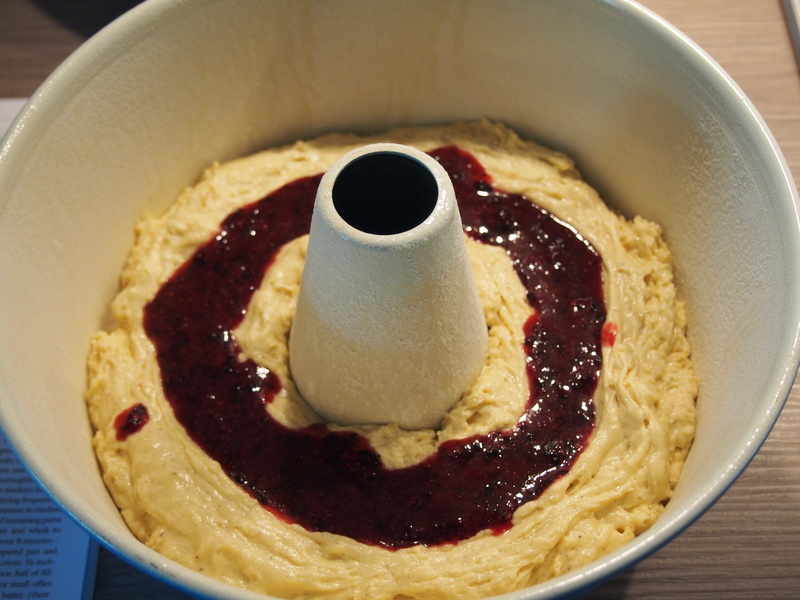 The dough hook seems only to turn in the middle of the bowl without taking the dough from the sides and kneading it into the rest. 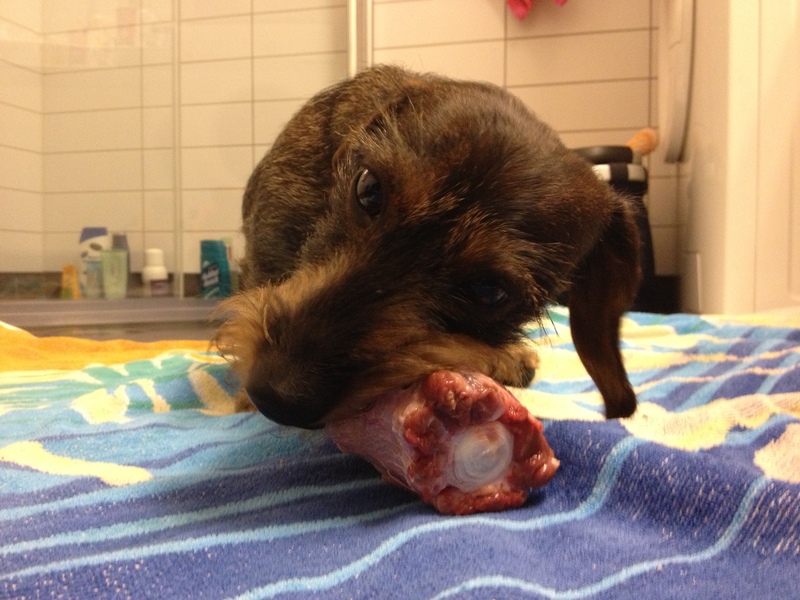 Ecky had a feast the other day when I got him a nice piece of oxtail. Big hugs and keep the pics coming!